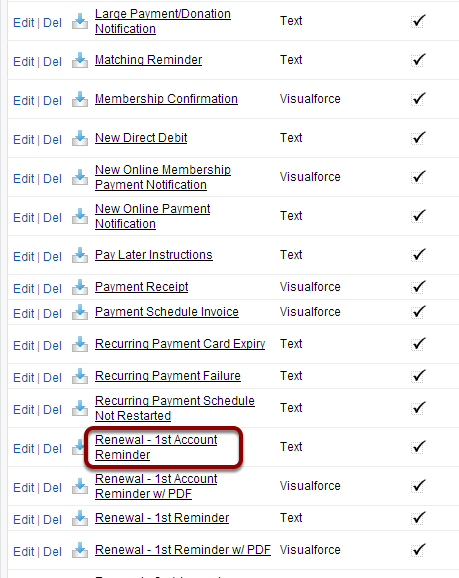 For first membership reminders at an Account (organisational) level. 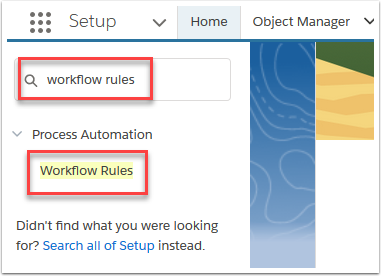 The workflow setup process is very similar to the “WORKFLOW: First Renewal Reminder Contact Level” and “WORKFLOW: Second Renewal Reminder Contact Level” processes described above. 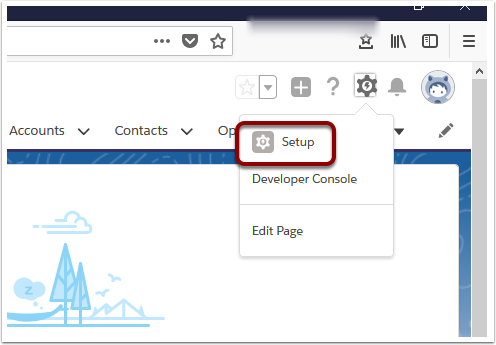 With the exception of basing the template workflows from “1st Account Subscription Renewal Reminder [ADD TIME BASED WORKFLOW]” and “2nd Account Subscription Renewal Reminder [ADD TIME BASED WORKFLOW]”. 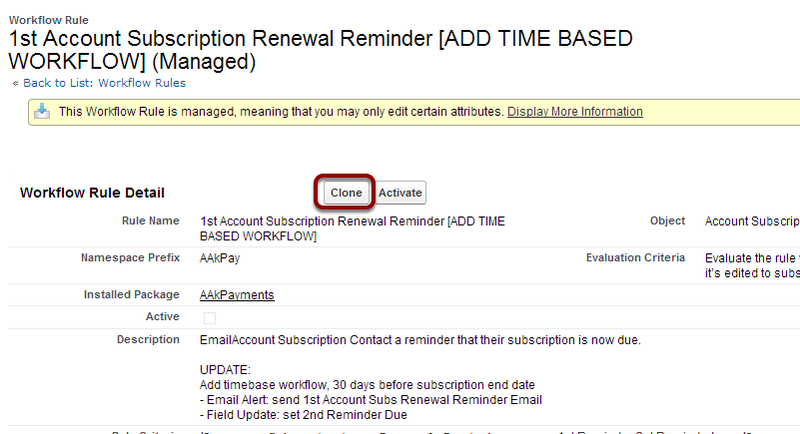 Clone Workflow rule "1st Account Subscription Renewal Reminder [ADD TIME BASED WORKFLOW]" and rename to "1st Account Subscription Renewal Reminder"
Add Immediate Workflow Actions. 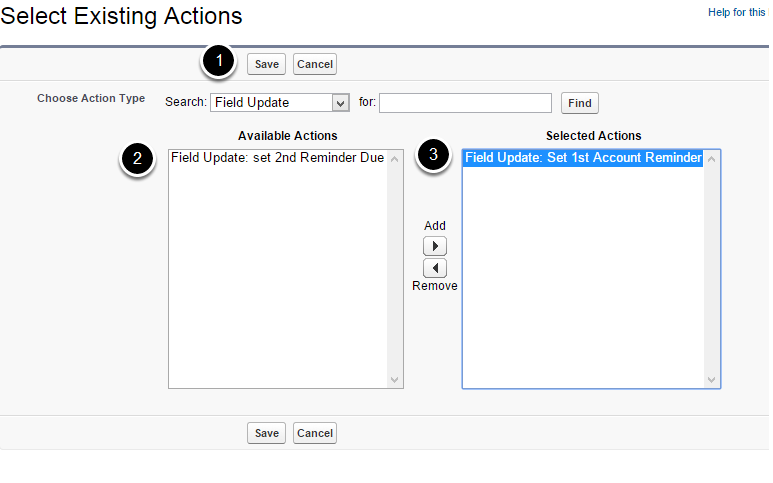 Select Existing - Field Update "Set 1st Account Reminder"
Add a Time-Dependant Action. 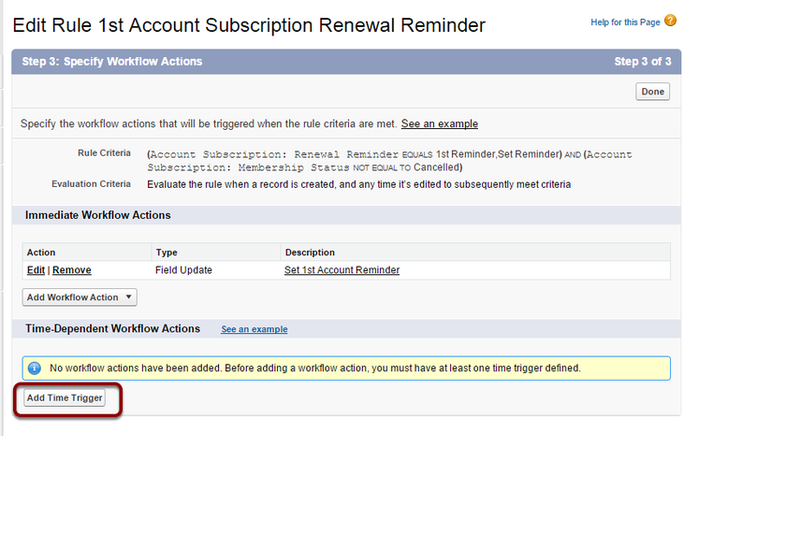 Set it to fire 30 days before Account Subscription End Dates (or time period you would like). 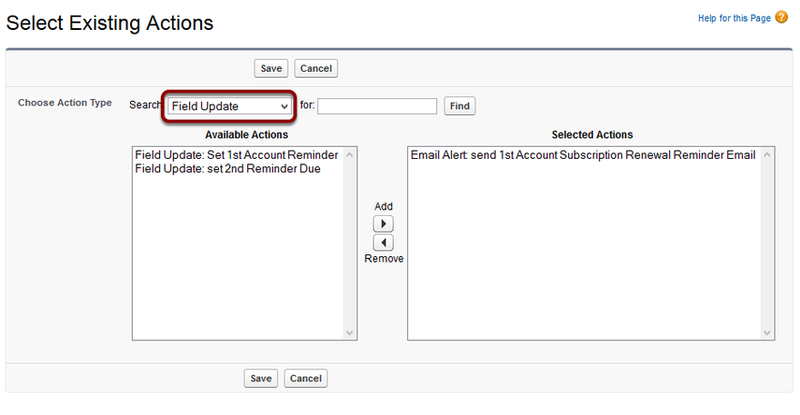 Add Action - use existing workflow - "Email Alert: send 1st Account Subscription Renewal Reminder Email"
Add Action - use existing workflow - "Field Update: set 2nd Reminder Due"
Optionally review and update the renewal reminder email templates. 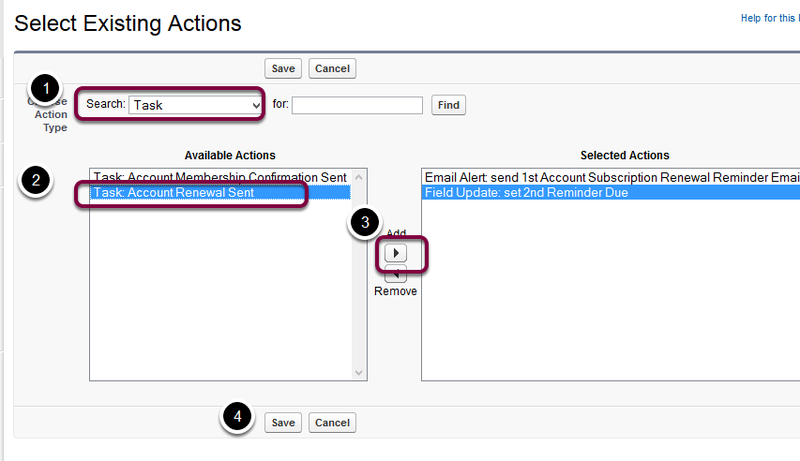 Select Add Workflow Action under the "Immediate Workflow Actions" Sections. Then 'Select Existing Action'. 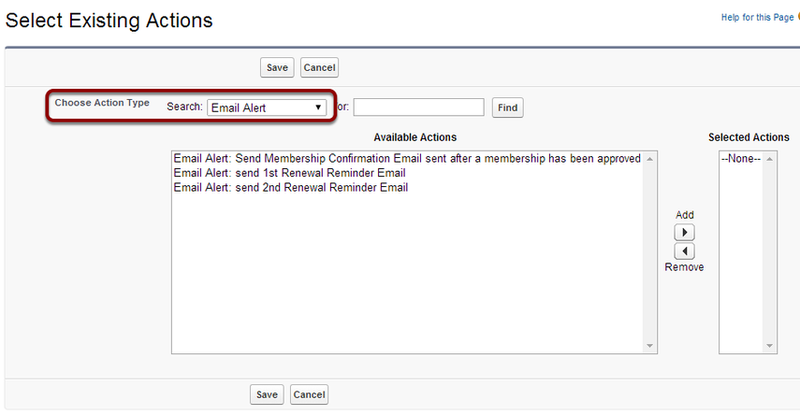 Then select Field Update from the Action Type and move "Set First Reminder" to the 'Selected Actions' and Save. Note: You can change the number of days as required if you wish to give more/less notice. 7. 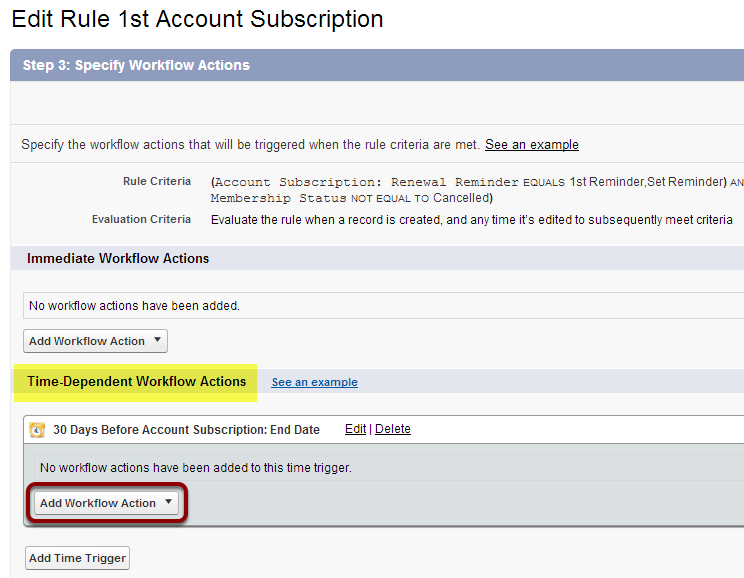 Select the 'Add Workflow Action' button in the Time Dependent Workflow Action section. 8. 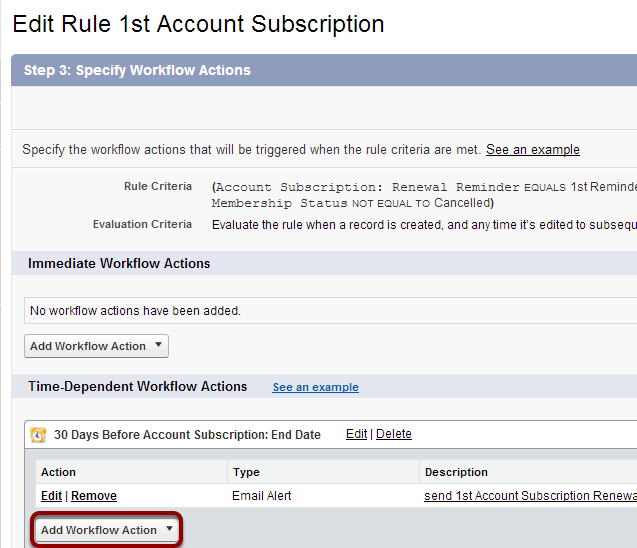 Select the 'Add Workflow Action' button in the Time Dependent Workflow Action section. 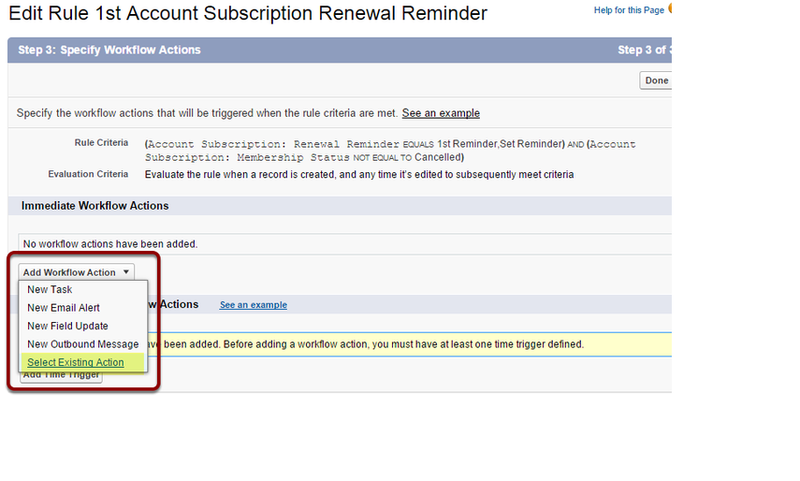 This Workflow Action is set as a trigger for the 2nd Reminder. 9. 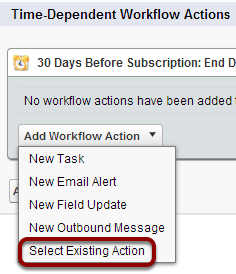 Select the 'Add Workflow Action' button in the Time Dependent Workflow Action section. 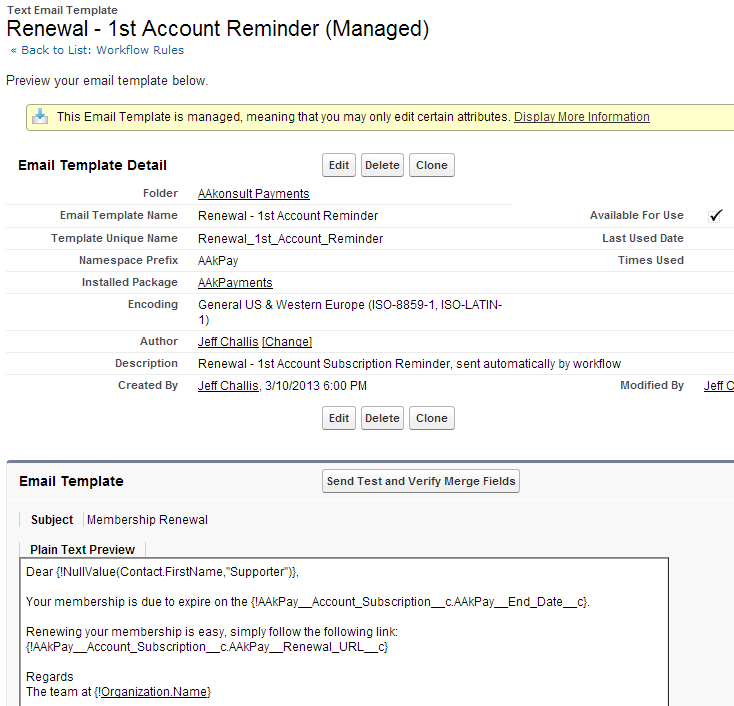 Click on "Task: Account Renewal Sent"
A template with a pdf attachment is also available.